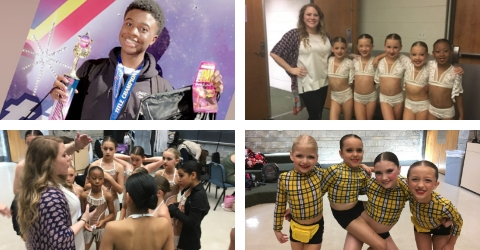 Starpower National Talent Competition in Jacksonville, Fla. is the final regional competition of the 2019 Just Dance! season. It is the first time in several years that Just Dance! has attended a Starpower event. In July, all Just Dance! companies will travel to Myrtle Beach for Starpower Nationals. Dead Hearts, our senior small group, was the highest scoring dance of the entire event. We’ll Take Care of Ourselves, our teen small group, was the highest scoring dance in the age category. Braid, choreographed by Lindsey Gentry, was recognized for outstanding choreography. Upgrade U was recognized as the most entertaining 12 & older dance. The following dancers earned Power Pak invites: Raelyn LaCavera (scholarship), Maggie Bednarczyk, Berkley Segars, Lana Baird, Leliah Baird, Addison Adams (scholarship), Grace Martin, Caitlyn Hall, Justice Wooden, Jade Boerman, Gracen Nelson. Only invited dancers are able to participate in Power Pak, which coincides with Starpower Championships in Orlando and Ocean City, Md.